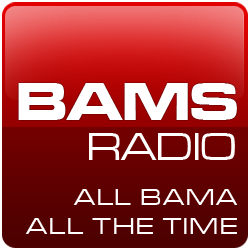 I’ve had a lot of folks ask me if the Million Dollar Band and fans did Rammer Jammer after last night’s Iron Bowl. Via Michael “The Big House” Casagrande at DailyBamaBlog. In case you missed it last night, here’s a spirited—and loud—rendition of the most hated game-ending cheer in the history of SEC Football. At 2:38, is that an Aubarn fan "flapping his wings" while our team is headed back to the locker room?